Consistent professional..pool service significantly reduces the costs of pool ownership by repairing or replacing worn parts before they reach the point of..catastrophic..failure. Pool maintenance is the most important investment you will make after building your pool. A periodic pool service not only extends the life of your pool but it also prevents infections to your children and other health issues related to the sanitation quality of the water. We will maintain your pool so you do not have too!.. 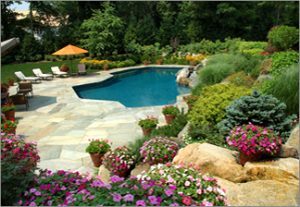 We have the experience and knowledge to troubleshoot and resolve any situation that may arise with your pool or spa. You need a..knowledgeable..and dependable ..pool professional to keep the pool of your dreams clean, safe, efficient and fun! Pool pumps, filters, heaters,..cleaning systems, in ground..vinyl liner..replacements, and more, we service all of your pool and spa needs. We specialize in Eco-Friendly Solutions. Express Pool Care is committed to being the most eco-friendly pool service and repair company in Arizona. We research and use the most energy efficient, water saving, and chemical reducing solutions in the industry. We put the highest value on honesty, integrity, and consistently high quality through education, research, and industry certification. We have a program of continuous improvement through lean six sigma green belt certification to improve our processes and services. We are continuing on a relentless pursuit of perfection to serve our customers to the best of our abilities. Thank you for considering Express Pool Care as your pool service and repair company.